Valves are expendable items, so it will be a little cheaper. Compared to thousands of things, the handle is hard but there is no trouble in work. Is manufacturing trouble that other people write about the top nut? I think that is a manufacturing specification (laugh) I guess I do not know well. There was made in china, but the cost performance is the best made in China with this hand. There are also bad products in China, but there are also good products. It is as if all Chinese made bad is that it is obsolete (lol) Although it is a product of a domestic manufacturer, there are as many products as the manufacturing country that are not in Japan. This review is about item#17977277. 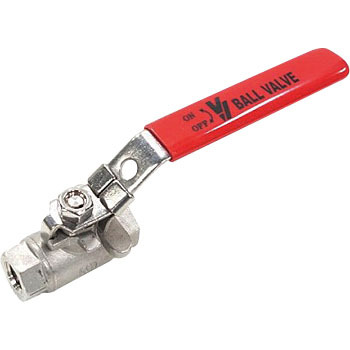 The delivered valve has a manufacturing defect and returned goods exchanged. At the time of purchase there was no indication that it could be made in China, so I misunderstood it as a domestic product, purchased with confidence but betrayed expectation. This type of industrial product should know how bad Chinese products are manufacturers. Just cheap? Absolutely, the thing purchased this time was about twice the price of domestic products. Do not purchase Chubu high pressure products again. This is an impression. This review is about item#17977268.